GovX, the members-only online retailer for verified military, first responders, law enforcement and uniformed professionals is celebrating its sixth anniversary the weekend of August 11. Since its founding in 2011, the GovX community has grown to over 2,300,000 members, with over 200,000 new members joining since January of 2017. Approximately 60 new brands joined the site in 2017, joining over 300 brands which use the GovX sales channel to offer gear, apparel, and more to GovX members at competitive prices. In addition to the retail side of the business, GovX members enjoy access to a variety of ticketing deals, including those through 40 major league sports teams. GovX's monthly donation program known as Mission: Giveback continues to support service-related causes. Each month, GovX selects a new nonprofit foundation performing work in the military, first responder, or law enforcement communities, and each organization receives a portion of GovX proceeds from all orders placed during the given month. Orders during the month of August support the Bob Woodruff Foundation, a nonprofit which invests in veteran-related causes nationwide. Previous Mission: Giveback recipients in 2017 include the Green Beret Foundation, FirefighterAid, and Paralyzed Veterans of America. 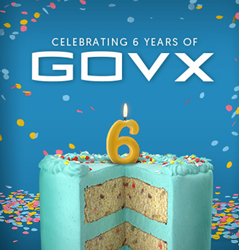 "This month we celebrate GovX’s sixth year of serving our deserving membership. Since our founding, we have remained steadfast in our mission to support those who keep our country and communities safe," said Alan Cole, GovX CEO. "Our customers have chosen to work in fields that put their lives in harm’s way, and we hope that the benefits they receive by being a GovX member help in some small way. Over 2.3M million members within the law enforcement, firefighter and military communities have joined GovX, and we want to send out a heartfelt 'thank you' for their support over the past six years." To commemorate GovX's sixth anniversary of serving the military, first responder, and law enforcement communities, GovX.com is currently offering its members 10% off every retail purchase between Friday, August 11 and Monday, August 14. Current members can log in and enjoy the discount automatically applied at checkout. Those who qualify for GovX membership can sign up for free at govx.com/register.